Crashes involving commercial trucks have extremely high fatality rates for the occupants of passenger vehicles. SUVs, pickup trucks, minivans, and sedans simply don't provide much protection from the force involved in this type of accident. However, the surviving family members of the deceased may be entitled to compensation. The statute of limitations requires that all Louisiana wrongful death claims be filed within one year of the deceased person's death. If you do not file within this timeframe, the defendant will be able to have the motion dismissed as time-barred. Evidence becomes more difficult to locate as time passes, which is why it's always recommended to begin the process of filing your claim as soon as possible. A wrongful death claim includes two types of compensation: economic damages and non-economic damages. The biggest difference between wrongful death claims involving commercial motor vehicles and those involving private passenger cars or trucks is that insurance typically supports a higher settlement. Current FMCSA regulations require all commercial trucking companies to have a commercial insurance policy of at least $750,000. However, most motor carriers have a minimum of $1 million of coverage. 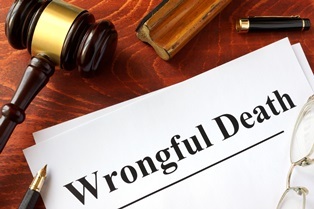 In some circumstances, a wrongful death claim may be based on facts that also constitute the basis of a criminal charge. For example, if your loved one was killed by a commercial truck driver who was under the influence at the time of the accident, the at-fault party would also be facing a DUI charge. The evidence used in a criminal case can support your wrongful death claim. However, the penalties in a criminal charge are entirely separate from the damages awarded in a wrongful death claim. A criminal charge can result in penalties such as fines, jail time, or the suspension of driving privileges. A wrongful death claim is only focused on awarding monetary damages to the surviving family members. Wrongful death claims can involve complex legal issues, and insurance companies are typically in no hurry to settle a claim after a commercial trucking accident. To protect your right to compensation, it's recommended that you retain the services of an experienced personal injury attorney.